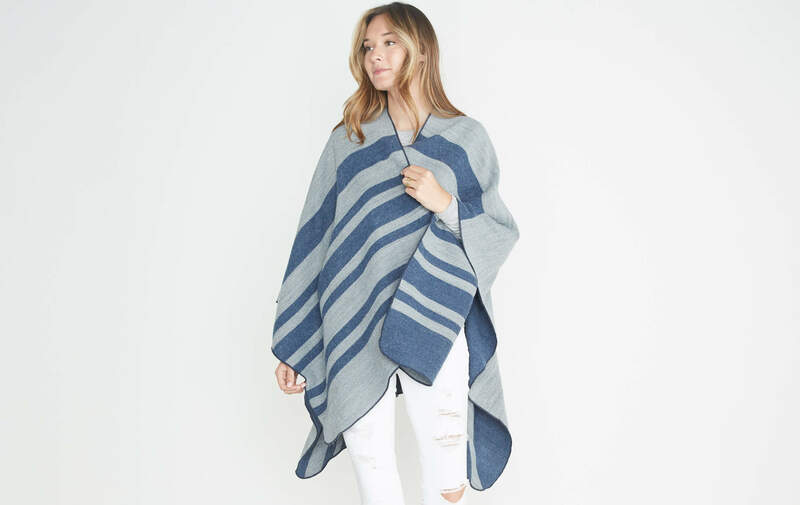 "Wearable blanket" doesn't sound that cool, but trust us: this poncho is the best. 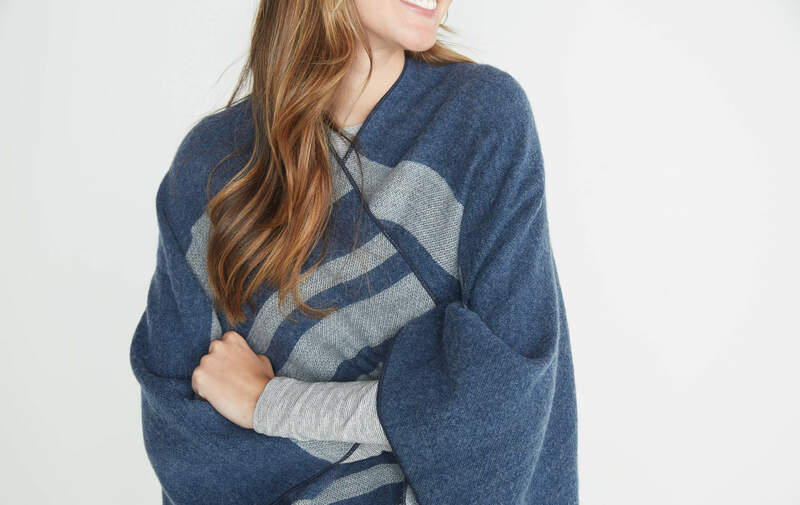 Chic, cozy, one-size-fits-all...it's like you never left your living room. 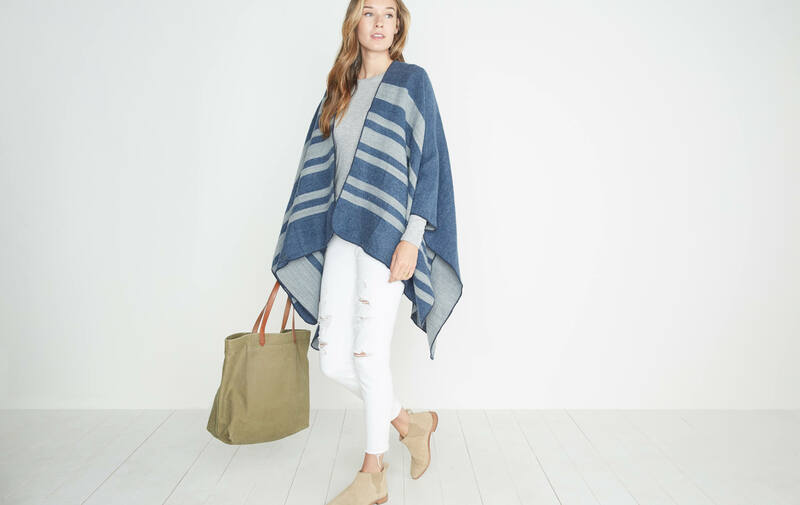 We used acrylic on this because it's known for its softness, strength, and warmth: everything a poncho should be, and more. 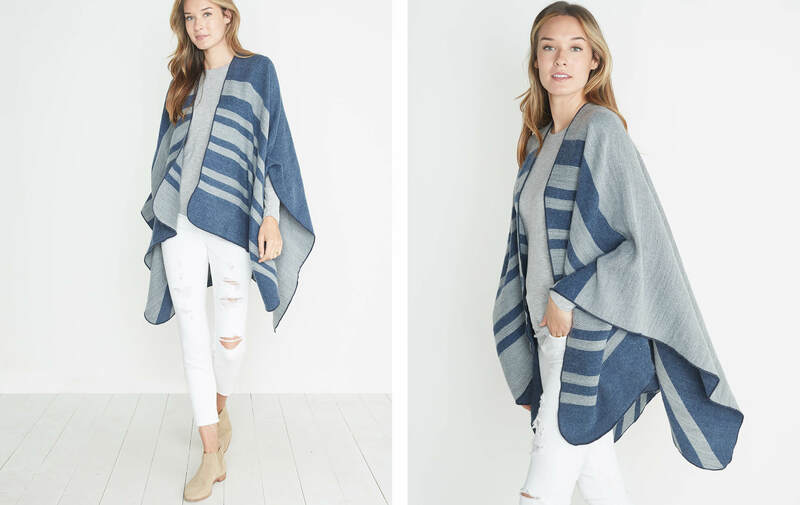 Because it's reversible.